TWO men have been arrested for starting fires in central Queensland during the most catastrophic bushfire conditions in the state's history. And last night, the crisis flared again with 10 people, including children, evacuated in two RACQ CQ rescue helicopter flights from Eungella as a blaze threatened the township an hour west of Mackay and closed the Range Road. The first group was a man and three young boys including one with asthma. The chopper then returned for another six people including an infant. All were taken to nearby Finch Hatton. Water bombing at Crediton : Footage provided by a firefighter tackling fires at Crediton on Thursday, November 29. Another couple, rural firefighters, bravely opted to stay and battle the blaze. Other locals sought shelter in the community centre as 25 fire appliances and two aircraft fought the fire. 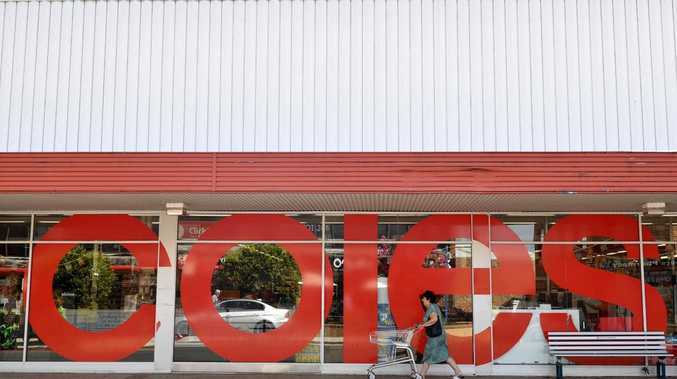 Mackay Regional Mayor Greg Williamson said: "It's turned into quite a grim situation, there is a fear that we will lose buildings in the area. "The fire is roaring up to the hill at Eungella which has been a big shock." 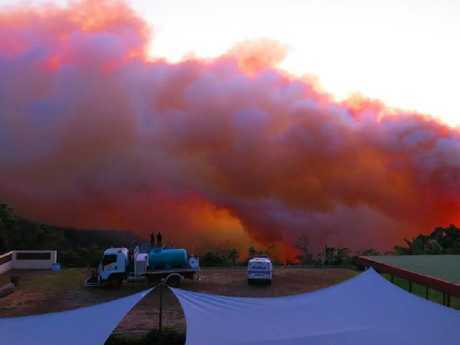 Fire was last night again threatening the Deepwater, Baffles Creek, Rules Beach and Oyster Creek area near Agnes Water. Deepwater fires: Raw vision of crews fighting fires: Raw vision following crews fighting bushfires and backburning in Deepwater. Overnight, QFES warned residents who had evacuated Deepwater, Baffle Creek and Rules Beach not to return as conditions were too dangerous. The current warning was for residents to stay informed, roads may be blocked by fallen debris and road conditions were extremely dangerous. Police were patrolling the area to ensure no one returned. As at 12.30am an extremely large and unpredictable fire was moving in a southeasterly direction towards Lindy Drive, Emery Road, Fernfield Road and Coast Road. The fire could have a significant impact on the community. The area will be affected by smoke, which will reduce visibility and air quality. People have evacuated from Deepwater, Baffle Creek and Rules Beach. The evacuation centre is the Miriam Vale Community Centre at 41 Blomfield Street. Meanwhile, police will allege two men each deliberately lit blazes in the Rockhampton area this week, despite the precarious weather conditions. More than 100 fires were burning around the state and there have been repeated warnings of a total fire ban. 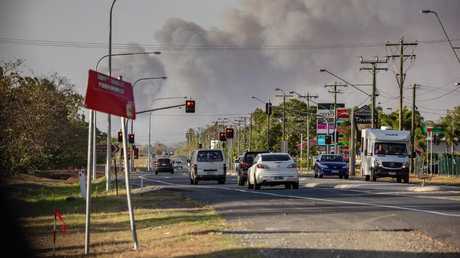 Police yesterday arrested a 27-year-old man allegedly lighting a grass fire beside the Burnett Highway at Port Curtis, south of Rockhampton, just one day after 8000 homes were heroically saved from a fast-moving bushfire near Gracemere 15km away. A 26-year-old man was charged with endangering property by fire, after allegedly setting alight vegetation at Rockhampton on Wednesday. State disaster co-ordinator deputy commissioner Bob Gee said police treated arson offences very seriously. "Arson can have devastating consequences, including the potential for loss of life, the destruction of property, livestock and livelihoods.". Some 114 wildfires were last night still burning around the state and more than 240 fire crews were battling blazes. Premier Annastacia Palaszczuk called on Queenslanders to support affected communities when she launched a fundraising campaign with a $125,000 donation. "We've already seen the heartbreaking impact of these bushfires - vast swathes of land stripped and blackened, properties reduced to rubble and hundreds of families forced to evacuate their homes," she said. Heatwave conditions are expected to persist into next week, and a sweltering weekend lies ahead. The weather bureau has warned a reprieve is days away, with temperatures 5C-10C above average forecast for many areas. Meanwhile, Queensland is also on alert for the possibility of a tropical cyclone developing in the Coral Sea. A tropical low was last night located east-southeast of Papua New Guinea, and was forecast to move in a south-westerly direction while developing further over the coming days. BoM said there was a low chance of a tropical cyclone in the Eastern Region today but a moderate chance (20-50 per cent likelihood) for tomorrow and Monday.